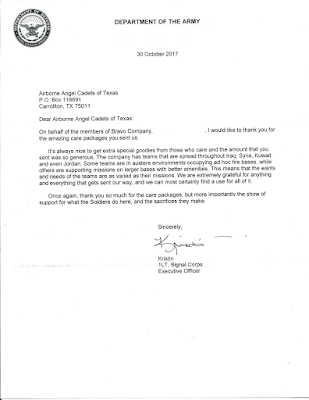 Care Packages for Soldiers: Thank You Letter For Care Packages. 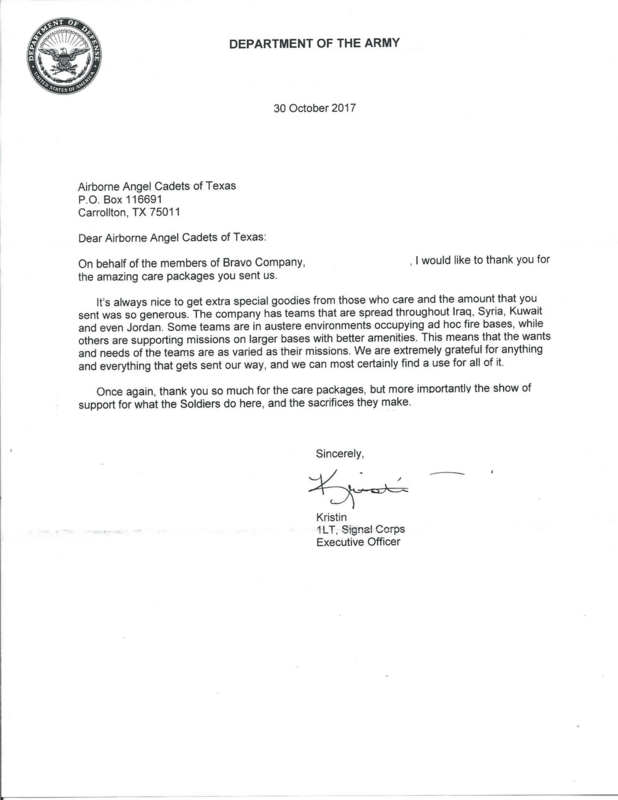 Thank You Letter For Care Packages. Here's a thank you letter we received from a soldier serving in Kuwait. As you can see, the "extra special goodies" are really appreciated.